A man slammed bribes on the investigator's table. 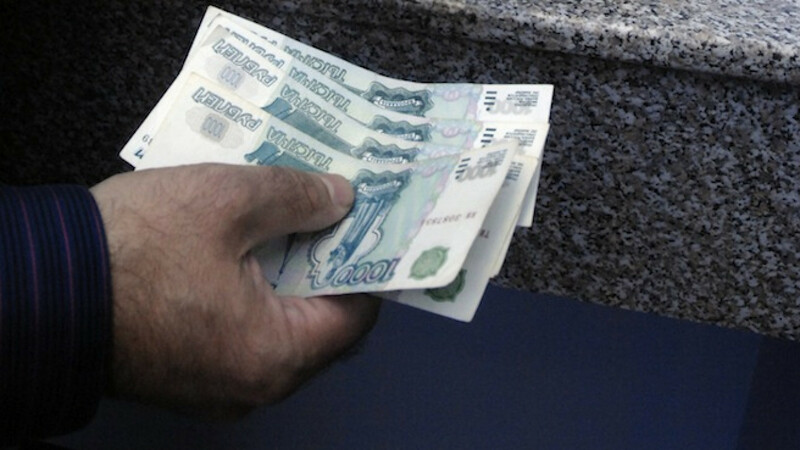 A man caught in the act of giving a bribe in Russia's Far East tried to get rid of the money by wolfing down the incriminating evidence, but doctors foiled the ingenious plan, police said. The man was trying to pay his way out after being found carrying a knife during a police search triggered by his "fidgety behavior" at a train station in Amur region's city of Tynda, the local branch of the Investigative Committee said in a statement Friday. When informed that illegal weapons possession is a crime, the man slammed 3,000 rubles ($86) on the investigator's table, the committee said on its website. The respective investigator then informed the man that giving bribes was also an offense, causing him to "gulp down the banknotes as fast as lightning," the report said. He was then promptly shipped off to a local hospital, where the three 1,000-ruble notes were extracted through gastroscopy — a procedure involving a thin tube to get inside the stomach — before they could be digested. The man, a local villager returning from a drive-in drive-out job in eastern Siberia, was spared arrest, investigators said, without releasing his name. But he faces a case on attempted bribery charges, which can land him in prison for two years or have him stomach up to 10 times the size of the bribe. The Amur man is not the first bribery suspect to gorge himself on graft money — in April a policeman in Tatarstan tried to eat the 950,000 rubles ($27,000) he extorted from a local businessman but was busted by colleagues before the feast was over.